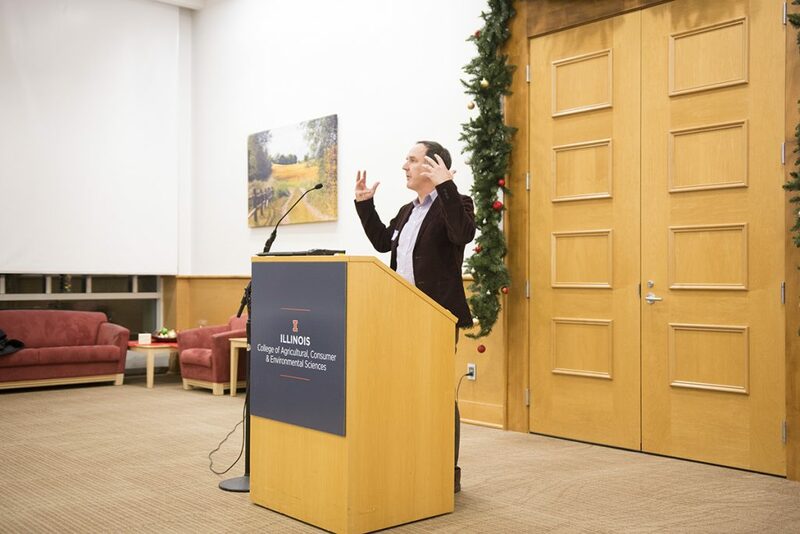 The Institute for Sustainability, Energy, and Environment (iSEE) has announced an exciting new fellowship opportunity for faculty and instructors at the University of Illinois at Urbana-Champaign. At the inaugural meeting of the Sustainability Educators Network on Monday, Dec. 3, iSEE Associate Director for Education and Outreach Gillen Wood announced that iSEE will offer Levenick iSEE Teaching Sustainability Fellowships for U of I instructors interested in adding sustainability elements to existing courses ($1,000) or creating a new course with a sustainability centerpiece ($2,000). The new fellowships are part of a multipronged program combining hands-on support from iSEE, deeper connections with colleagues from across campus, and remuneration for the time faculty and instructors spend working on their curricula. The deadline for applications is Jan. 31, 2019; applicants will be notified if they will receive a fellowship by March 1.